Junior Dylan Bauman looks over the defense during an earlier game this season. Last weekend, the Duster boys played arch-rival Minden Whippets. The Duster defense was having a hard time containing Elijah Lovin, who was the leading scorer in the first half with 15 points for the Whippets and they had the lead over the Dusters 25-21. In the second half, Griffin Wiser was put in with the job of stopping Lovin. Wiser changed the game and held Lovin to 2 points in the final 16 minutes. The offense for the Dusters showed that their athleticism and skill was too much for the Whippets and Holdrege won by a score of 49-38. Leading scorers were Tate Florell with 16 and Jackson Hilyard with 11. Rebounding was owned by Tate Florell and Dylan Baumen dished out 7 assists. “Beating Minden is always the best feeling in the world,” said Zach Reed. On Friday, the boys looked to put together a streak of three wins against Grand Island Northwest. Northwest had their night shooting the “three ball” and the Dusters couldn’t catch a break. 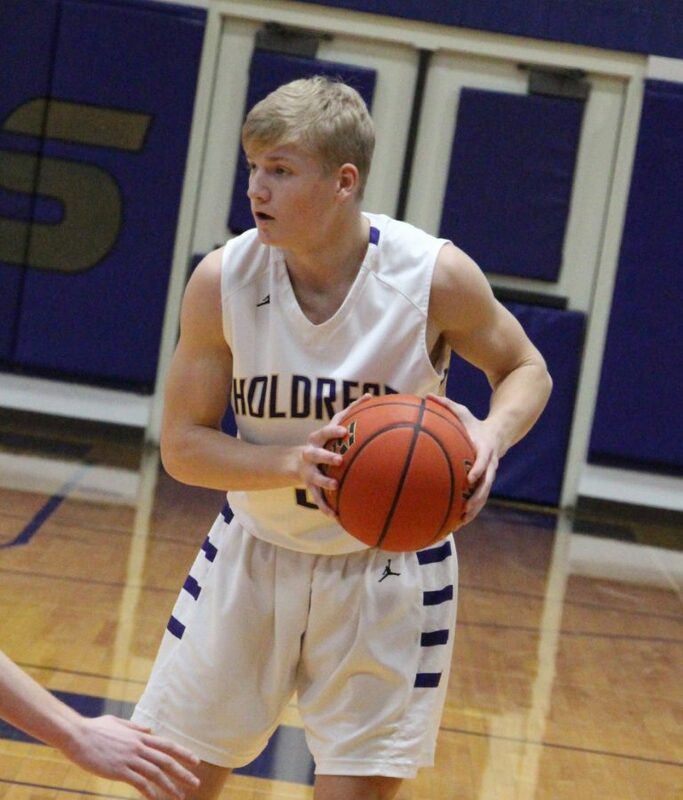 Holdrege kept fighting back and was within four to six points the whole game. The Dusters failed to capture the three pointer on Friday night and when the buzzer sounded the Dusters lost by a score of 41-53. Leading scorer was Tate Florell with 17 and leading rebounder Dyland Baumen with 8 rebounds.